Watch all the videos and comment. Please dont be shy sharing is caring. This is not the first time I've seen something flying around in Sacramento that can't be explained. 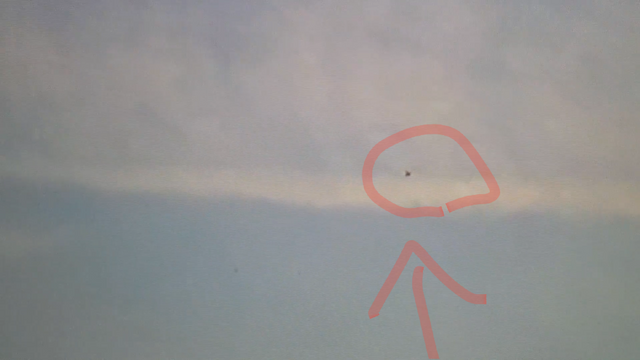 See another unexplained object that I've caught on camera. If your new to Mr. Cheffin12, Itcanbegreat or The Chemtrail Chef, I like to cover topics ranging from news, food, life, conspiracies, our health, God, Love and Chemtrails. I do this in hopes of showing you the coincidences in EVERYTHING and there by design. Do the research you will see if you look outside the box. If you feel like helping me more please check out. For how long has it been in the sky? Not sure your question. I saw if for a couple seconds with my naked eye, i wasn't even sure i captured it while i was filming. I left the original video, its the one with the dog. Click on that and you will see. But i was filming Chemtrails and then saw with my own eyes and panned the camera up towards it. Another question: By chance did it happen on Sunday 17 march? because I saw a globe too this Sunday! !